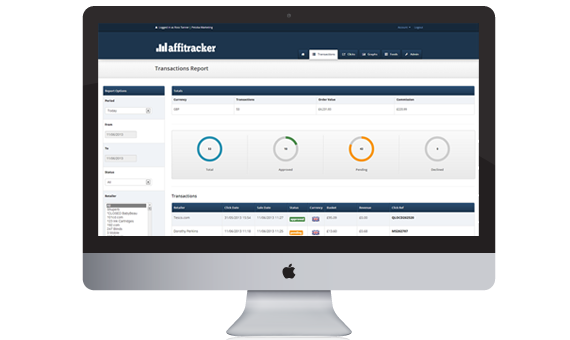 AffiTracker is an industry leading affiliate transaction tracking and reporting tool, used by many of the biggest affiliates in the sector. No more logging into multiple affiliate networks. AffiTracker brings all of your data into one easy-to-use, reporting system. Our basic package includes one user account and one affiliate network. The bronze package has a maximum of 3 affiliate networks and only one user account. The silver package has a maximum of 5 affiliate networks and 3 user accounts. The ultimate package includes unlimited user accounts and all affiliate networks. "AffiTracker has helped me stay on top of my affiliate data and provides clean, accurate reports."